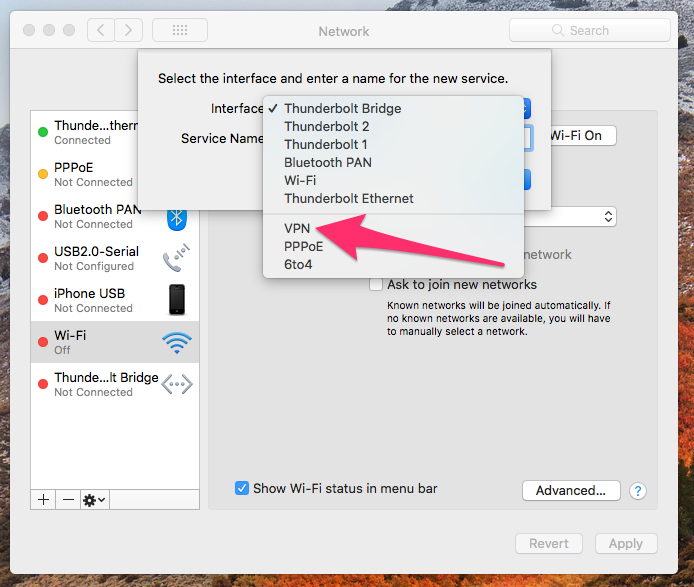 What's a Virtual Router, and why do I need one? 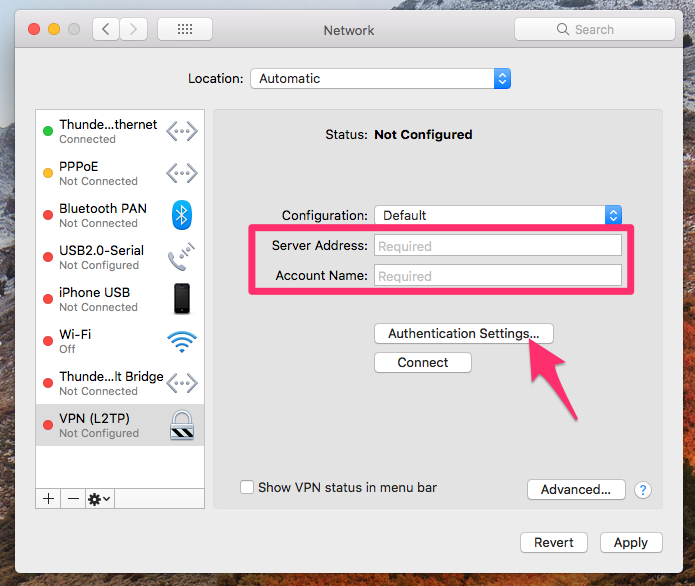 If you are thinking about setting a VPN on your home router but your router does not support OpenVPN, or you do not want to go through the technical configuration involved - then setting a Keenow Virtual Router on your Mac might be the solution for you. 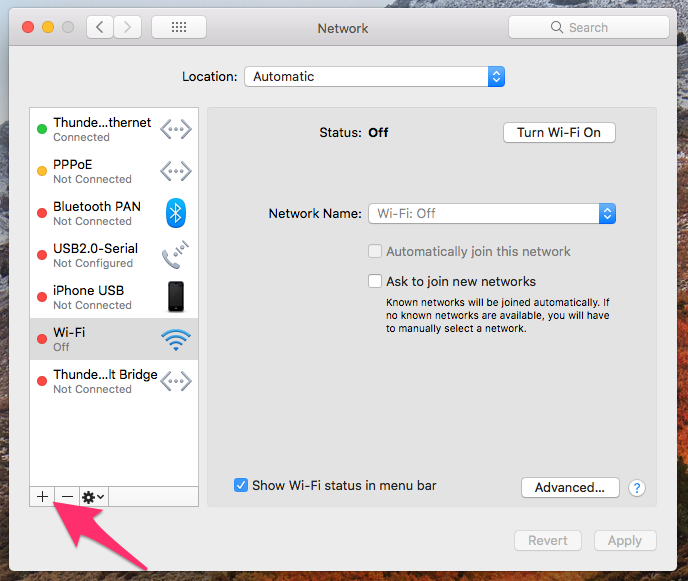 Simply connect any WiFi-supported device to the WiFi network associated with Keenow and you'll get connected to the VPN server used by your Mac device! 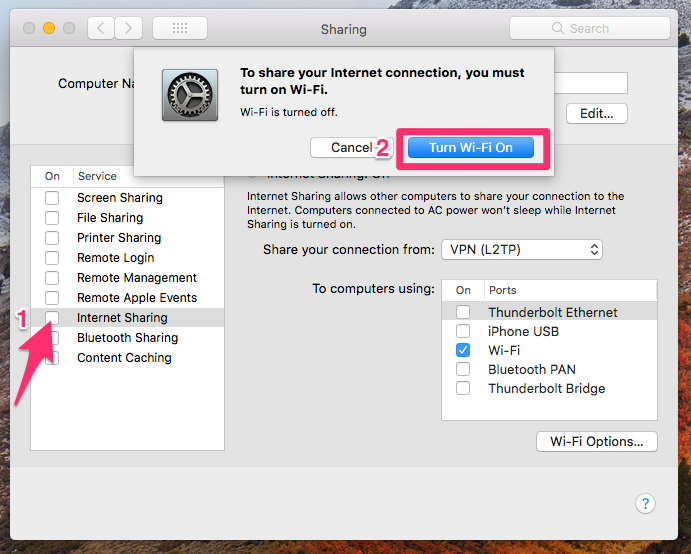 Connect a LAN cable to your Mac and disconnect from the active WiFi network. 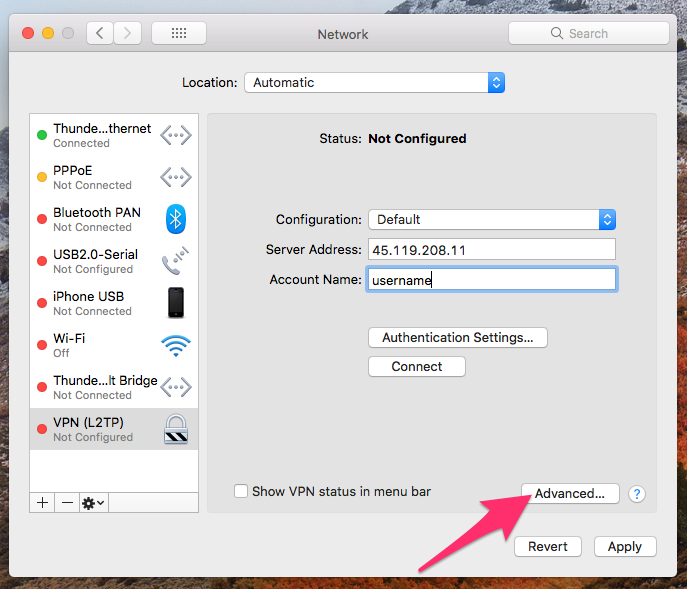 The L2TP VPN protocol is natively supported by Apple, while the Keenow app uses the OpenVPN protocol. If applicable, open the Keenow app and turn VPN to off. 1. 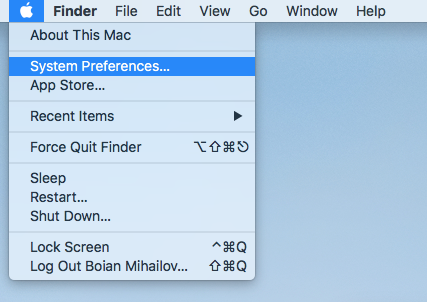 Open 'System Preferences...' from the Apple menu. 3. Click the + sign to add a new interface. 4. 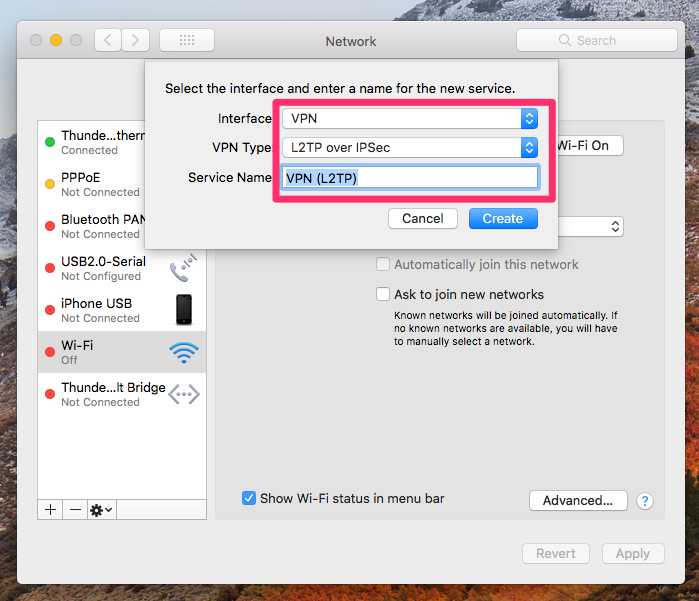 Select VPN for interface type. 5. 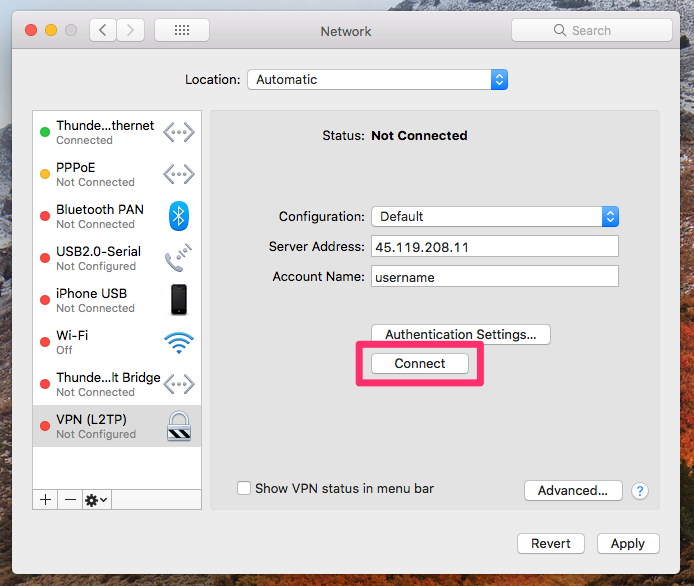 Change 'VPN Type' to 'L2TP over IPSec', name it VPN (L2TP) and click on Create. 6. Enter desired server's IP address (list of all supported L2TP servers is available on the Downloads section) in the Server Address field. Enter the username in the 'Account Name' field (your username is listed under the Active service on My Services menu ). Click on 'Authentication Settings...'. 7. 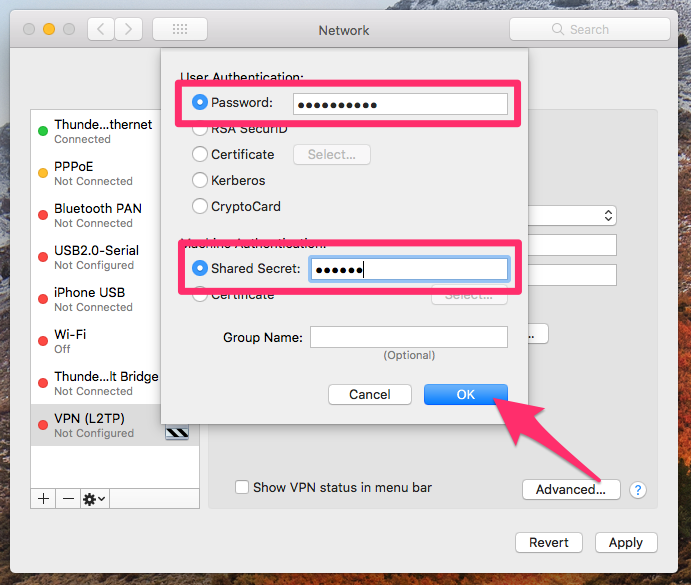 Type your password (from My Services menu) and "secret" (without quotes) in the Shared Secret field. 9. 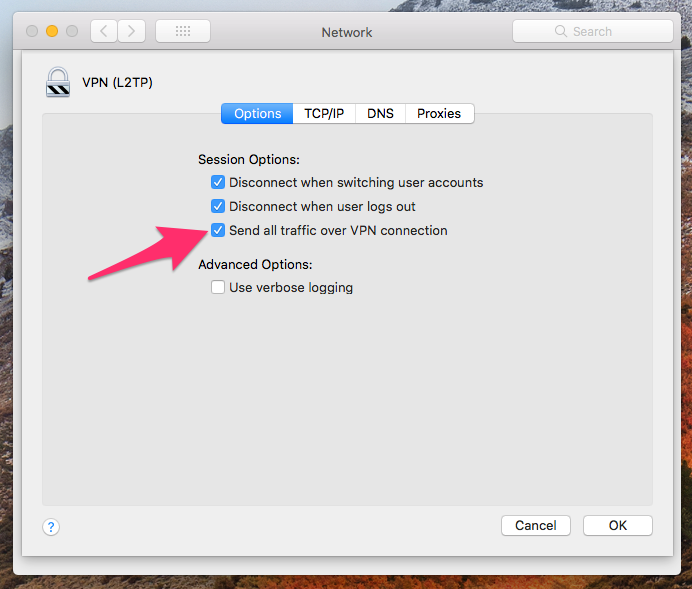 Tick the "Send all traffic over VPN connection" checkbox. Than click OK button. 11. 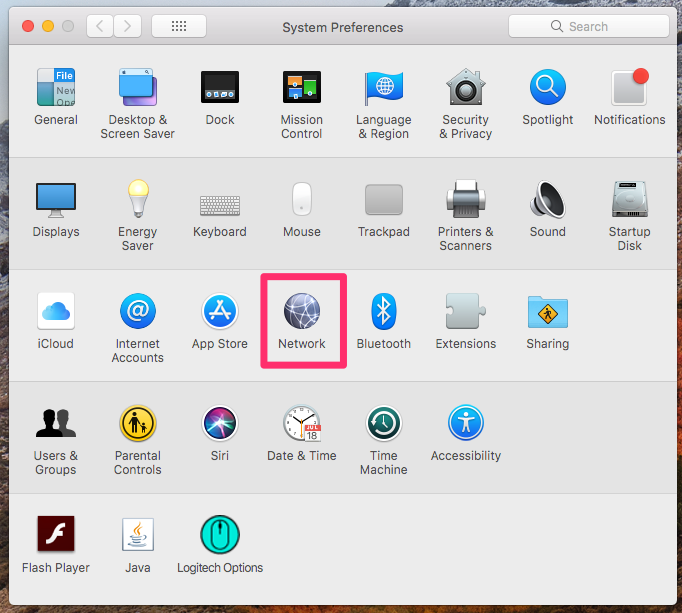 Wait until Status shows as Connected and then press the left arrow to head back to the System Preferences menu. Once the L2TP connection is established (Step 2), there are few more steps to share it with the free WiFi port (Step 1). 12. Click the Sharing icon. 13. On the (1) left menu, click (don't tick yet) on "Internet Sharing" Service. 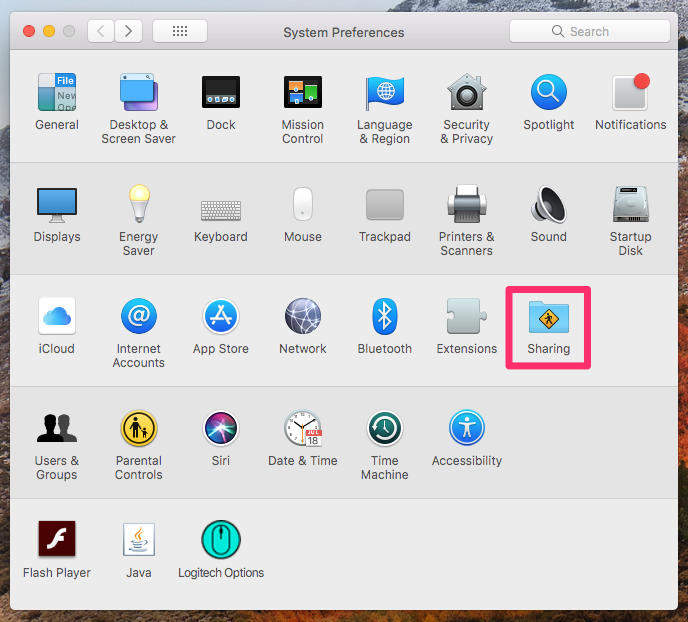 On the right menu, change (2) 'Share your connection from' to 'VPN (L2TP)' and tick Wi-Fi on (3) 'To computers using:'. Click on (4) 'Wi-Fi Options...'. 14. 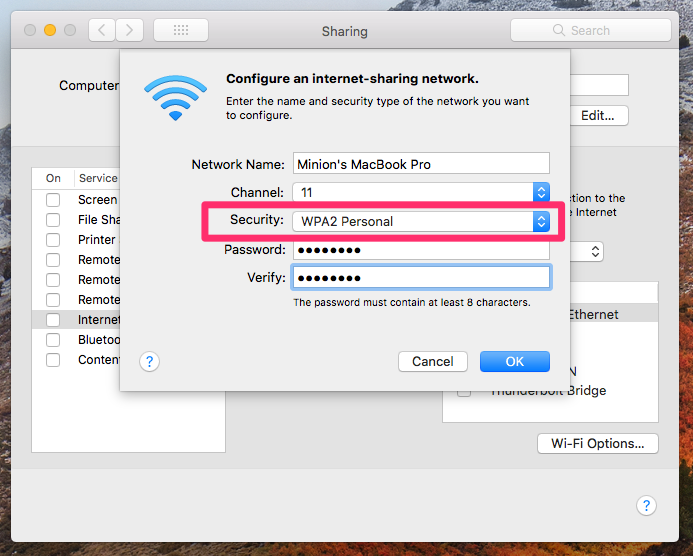 Name your network, enable the WPA Personal Security and type a password for your network twice. Confirm with the OK button. 15. 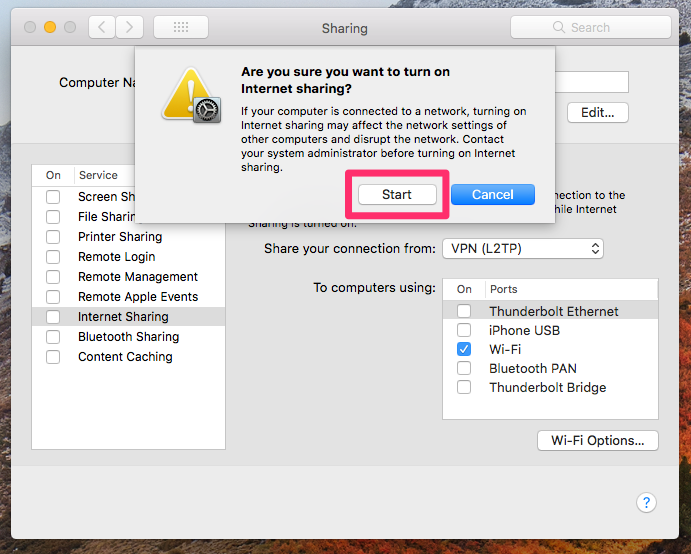 Tick on "Internet Sharing" (1) Service and confirm (2). 16. 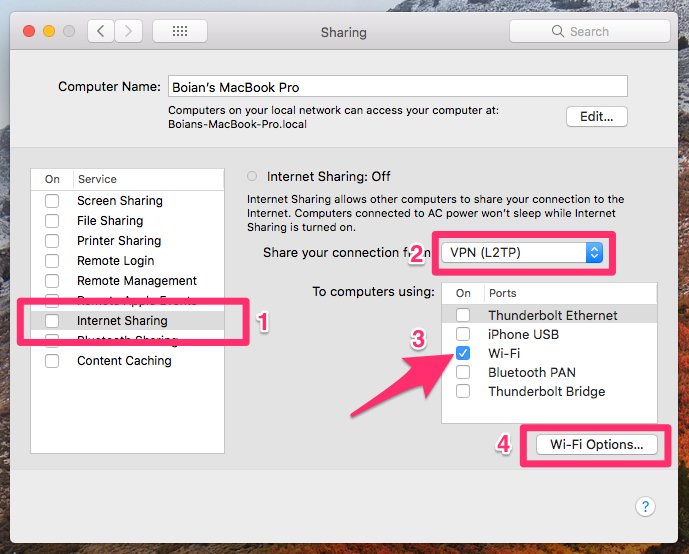 Click 'Start' to begin sharing the VPN connection over WiFi. 17. 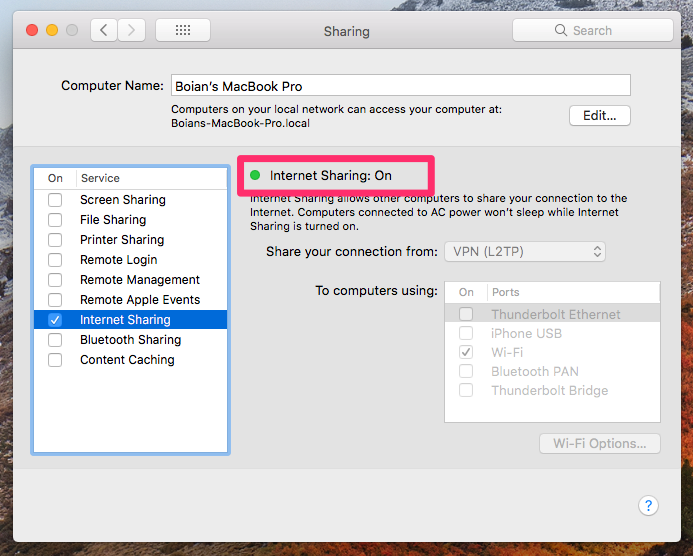 Internet Sharing should now indicate On with a green light. 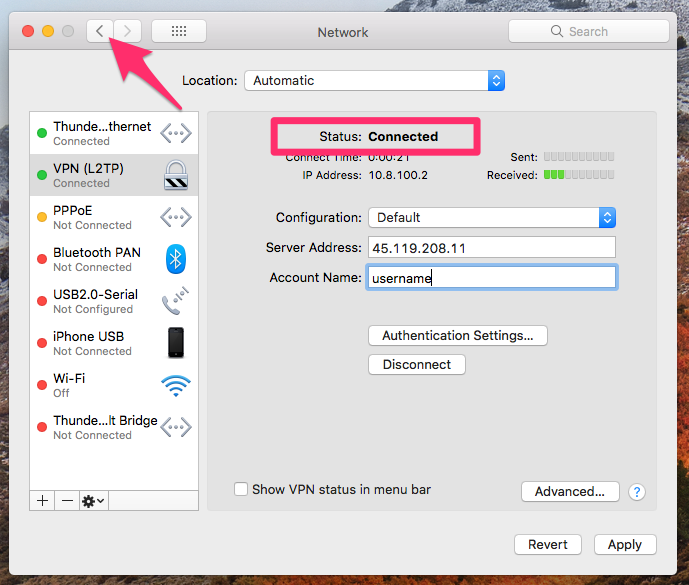 You can now connect any WiFi supported device to take advantage of your Mac's L2TP VPN Network. Congratulations!